​What a beautiful, though chilly day. Crocus greens are starting to show by my front door. Flowers can’t be far behind, which reminds me that my crayon challenge project colors might not be so challenging after all. Violet, Shamrock, Tropical Rainforest. Purple, green, blue green. Crocus, and Siberian Iris are very pretty in purple and green. I have my yarns, thanks to a little help from my friends. 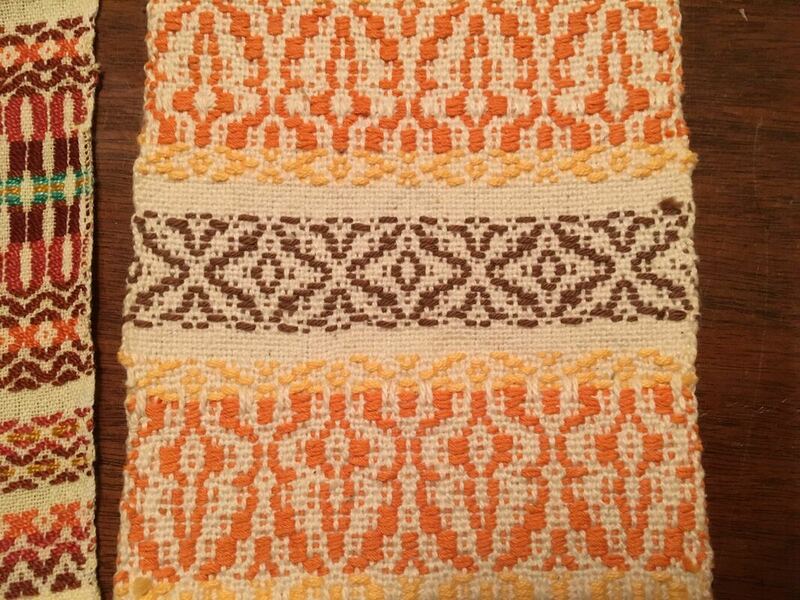 Still deciding whether to weave or knit...more will be revealed. And thanks to my new smart phone camera, sharing photos is much easier! Snap photos of your challenge project, or other fibery things you have going, and send them to Katia for the WWG newsletter and facebook page. If you’ve taken part in a Textile class, workshop, or study group at the Jansen Art Center, please enter a sample of your work in the Student Showcase! Enter online, by February 4. 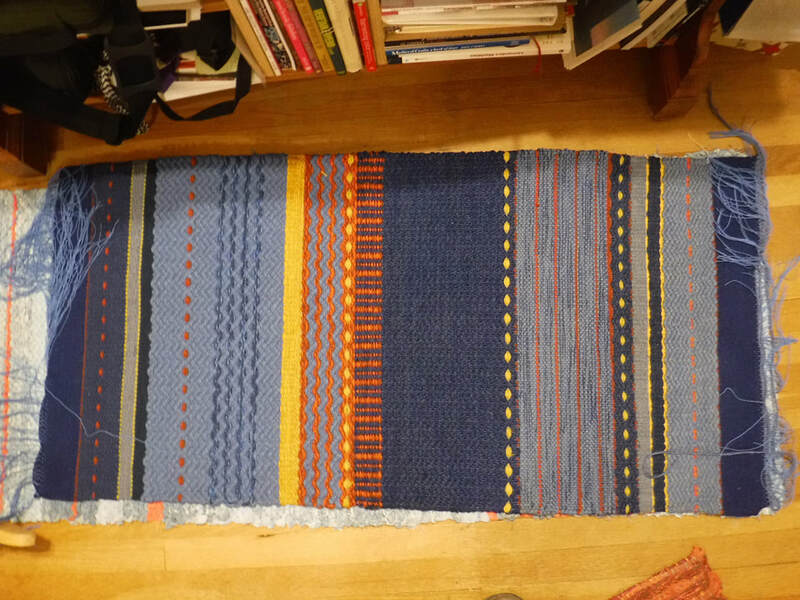 I have a nice little piece from Joanne Hall’s Swedish Art Weaves Workshop, and two scarves from Liz Moncrief’s warp painting workshop, both Fibers & Beyond workshops. Your work does not have to have been done in a class, just influenced by your association with the Jansen Center. This is an opportunity to show off what happens in the Textiles Studios. The Ceramics and Jewelry Studio artists and students will be entering their work as well. Let’s make sure the textiles have a good showing! (you might have to borrow that scarf back from your daughter-in-law.) The exhibit will be on display in the Jansen Center Library Gallery during March and April. Spring brings Sprang! Carol James, AKA the Sprang Lady, will present the program at our February meeting. This is an ancient textile structure, and Carol James makes it fun, as well as educational. Carol is offering a 1-day study group on Sunday February 17. 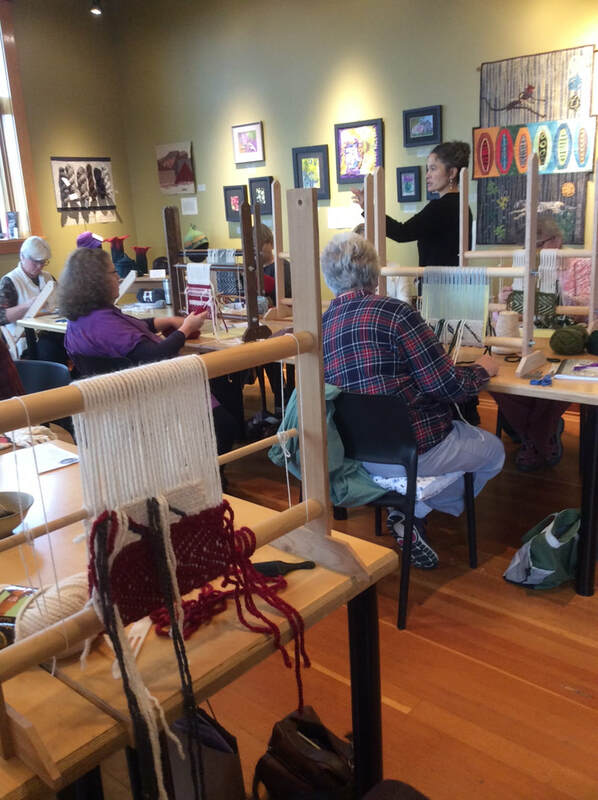 And, for those of who weave, twine and interlace with cotton, linen and other plant fibers, look for an awesome update about the Wool Show at the February 16 meeting. Until then, stay warm - the light is returning! NOW IS THE TIME TO RENEW YOUR GUILD MEMBERSHIP! So far, 34 members have paid their 2019 dues — thank you! If you haven't yet paid, you can send your check to WWG, PO Box 403, Bellingham 98227. Individual dues are $25; for students, $20; and $35 for a family membership (living at the same address). Textile conservator, collector, spinner, weaver Tracy Hudson joined us, sharing her passion for beautiful indigenous textiles, textile tools, and techniques acquired through global travel. 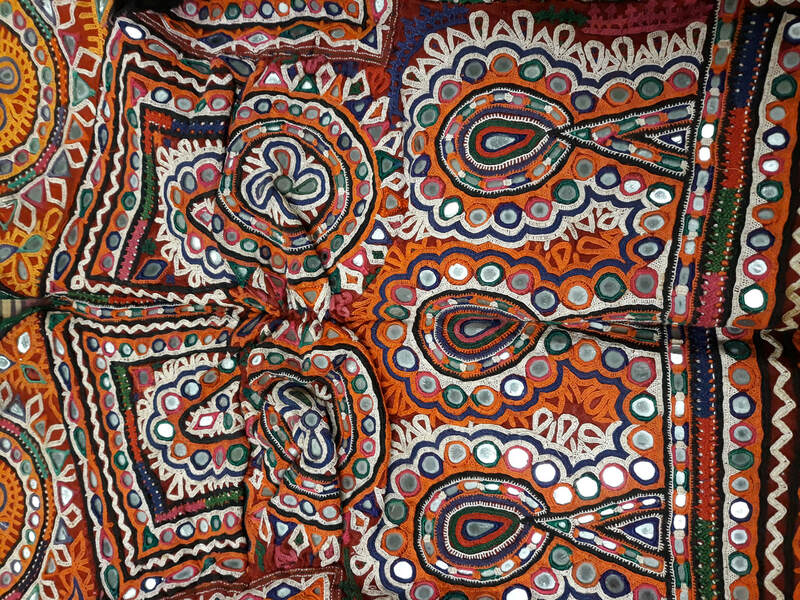 Tracy showed lovely garments and textile pieces from Laos, India and Japan. 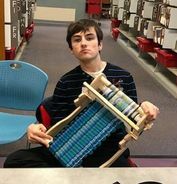 She also joined our member show and tell, and it was inspiring to see her latest weaving, a sakiori panel, in japanese silk rag strips, woven on a backstrap loom. Tracy’s talk included best practices in the display, care and protection of textiles. Several companies carry supplies and provide information about care, display and storage of textiles. Acid-Neutral paper, archival boxes, moisture protection, cotton gloves for handling fragile textiles can be found through several of the following websites. Some also have guides for handling textiles that can be downloaded or printed for reference. Carol James, “The Sprang Lady” on ancient textile interlacements and her contemporary work using historic techniques. 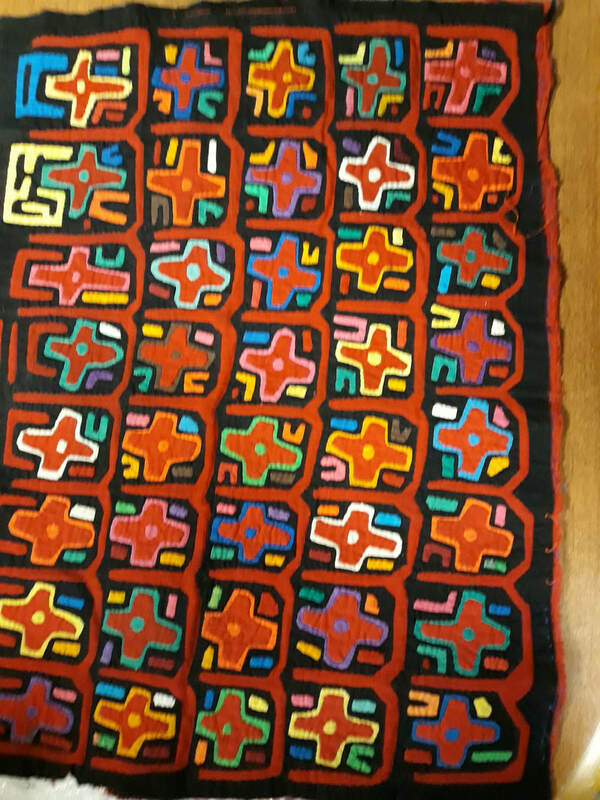 Carol James believes that textile creation is part of our human heritage and has spent the past 20 years rediscovering textile forms that have been considered lost. A world-recognized teacher, she will share examples of her fingerwoven sashes, belts, bags and more. 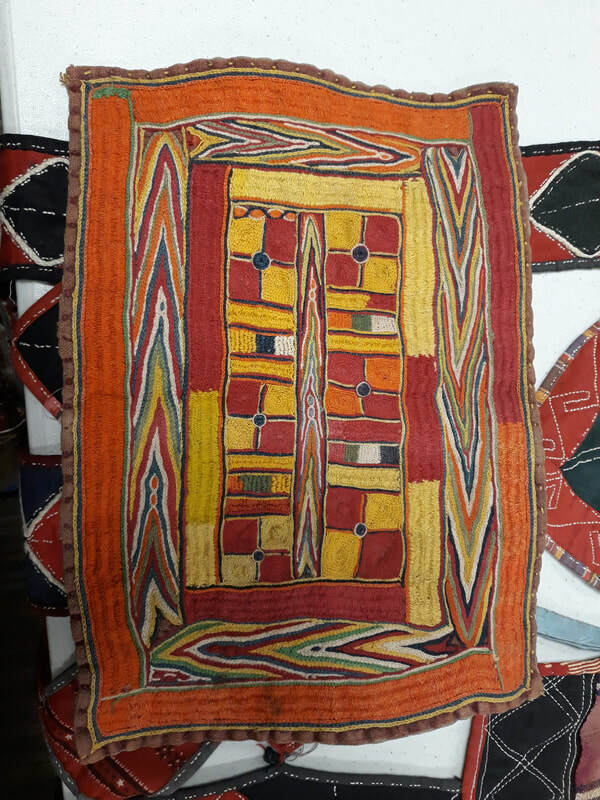 Sprang is an ancient textile method, dating as far back as the Bronze Age. 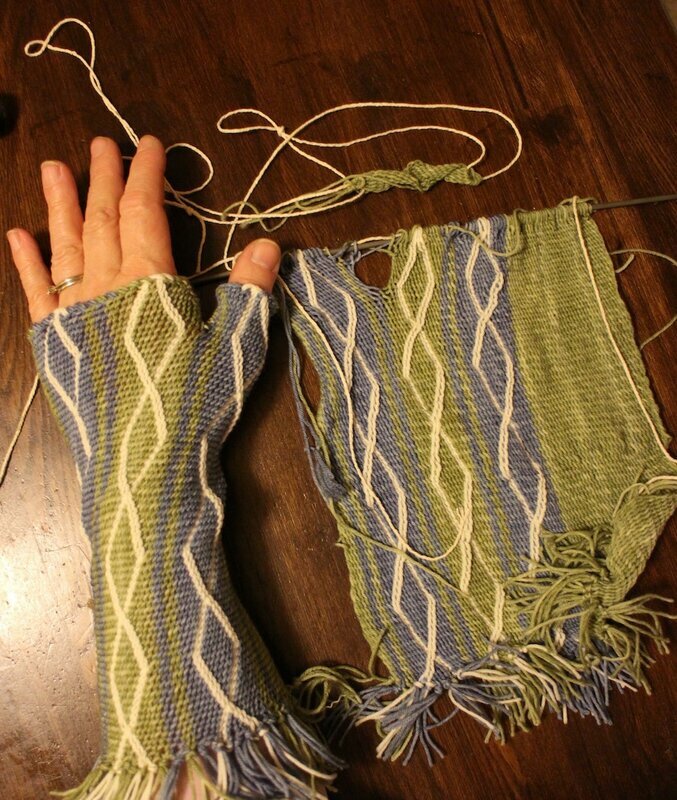 Evidence of this technique can be found among the ancient Persians, Greeks, Romans, and Egyptians, and some scholars suggest it was the method used to create the vertically striped leggings of Medieval times. Sprang was known across Europe until the time of the Industrial Revolution. 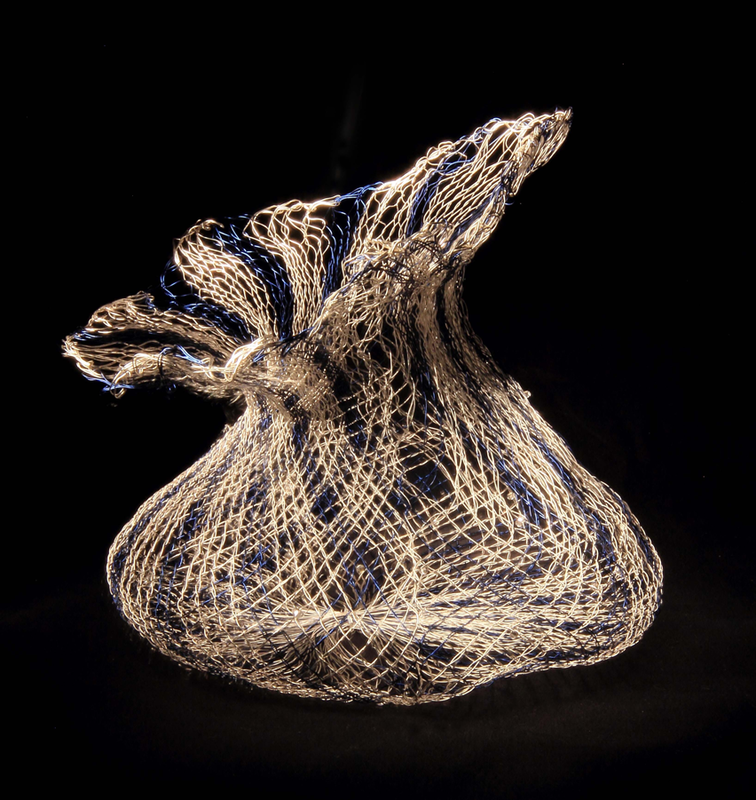 It produces textiles with amazing elasticity. Even more intriguing, you get an amazing two rows of cloth for every one row of work. The window pane warp from the “18 Towels” book is being planned, for the smaller Glimakra loom. Cost will be $10 loom use fee per person, and $5.00 per towel for warp materials. Provide your own weft. Suitable wefts are 22/2 cottolin, 16/2 linen, 8/2 and 5/2 cotton, or similar weights in cotton or linen. The length of the warp will depend on the number of people who want to weave. 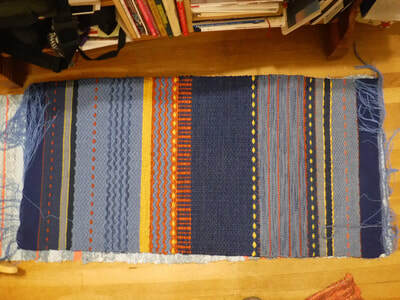 Plans are being made for weaving wool blankets in 2-block twill, on the 60” wide Glimakra Loom. Cost will be $20 loom use fee per person, and each person will purchase their own warp and weft materials. 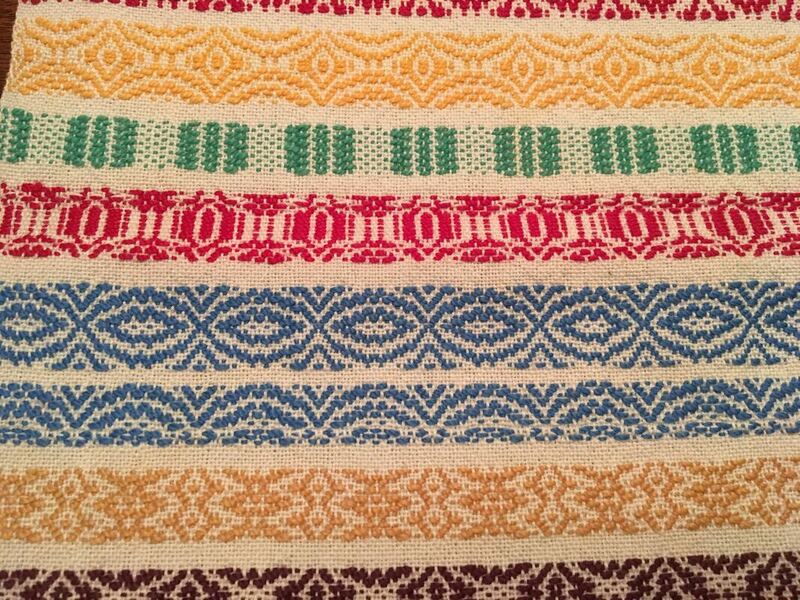 “Tuna” Swedish wool blanket yarns from Glimakra is recommended. The threading will be 10 EPI, (600 ends) and the warp for each blanket can be 3 or 4 yards long. We will measure each warp separately and tie on to a dummy warp for each blanket. Each weaver will be able to choose their own colors, from the 100+ colors available. A group meeting will be scheduled to discuss the project, decide on a threading pattern, and plan a group order for the yarns. 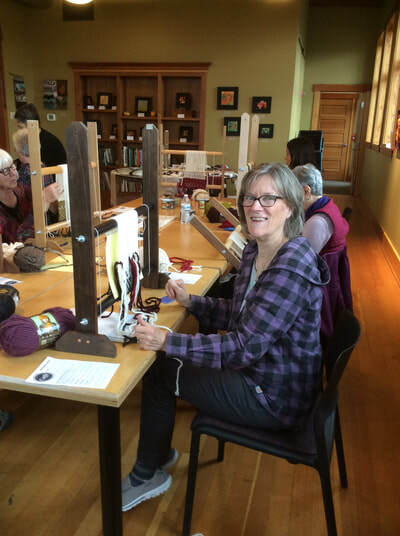 First Saturday of every month at Bellingham Library for the active Small Looms Group. Join in on the fun with your Inkle, tapestry, tablet weaving, rigid heddle or any loom small enough to bring to the library! To keep up to date with what is happening, join the mailing list by contacting pgfibrearts@gmail.com. 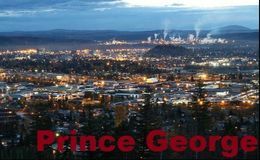 The blog for the 2019 ANWG Conference in Prince George is now up and running! Please check it out for the latest information on the conference by clicking here. The first blog post went live on Saturday and the blog will be updated each Saturday so you will want to keep coming back. There will be 3 links on the website - Register Here webpage, General Informationhomepage and Workshops and Seminars Schedule tab. Workshops and Seminars Schedule tab provides the Final Schedule of 2 Day Conference Workshops, 2 hour Seminars and Conference prices. Please choose which Workshops and/or Seminars you wish to attend as well as second choices if they are full before registering. ​The Conference will be held from June 14th - 15th. For the conference, you are permitted to sign up for a total of THREE seminar slots. If you choose a seminar that has two-parts, it counts as TWO seminars. Therefore, you may NOT sign up for two two-part seminars. We will refund your order up to 30 days before the start of the conference. Please give us more notice if possible, so that we can open up your seat to workshop and/or seminars to other participants. NOTE: there is a $50 cancellation fee, regardless of when you cancel. 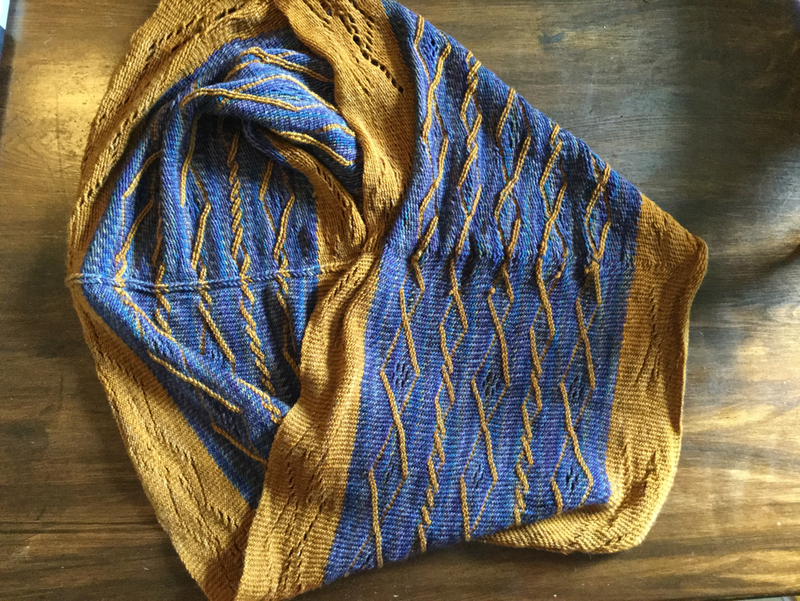 Have you seen Robyn Spady’s digital weaving magazine Heddlecraft? 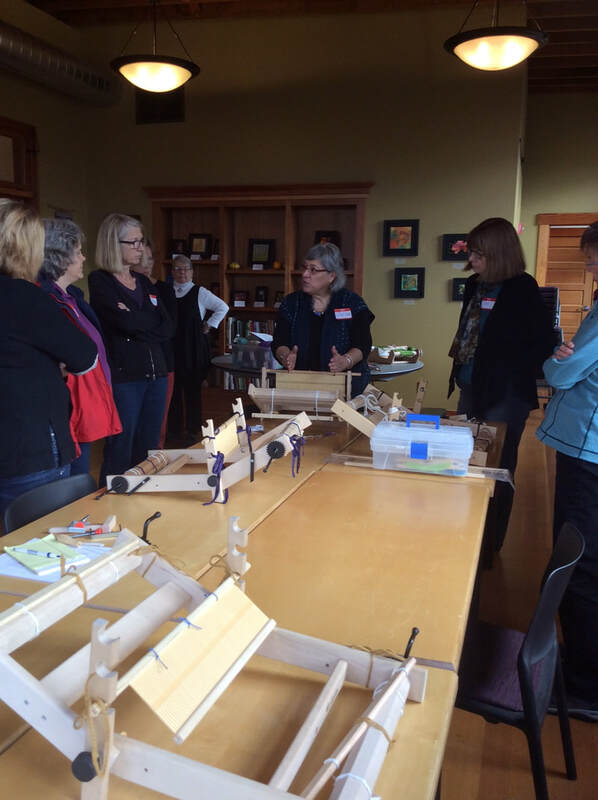 It is a six times a year resource jam packed with information, samples, .wif files, book reviews, all tailored for weavers using four to eight shaft looms and more. 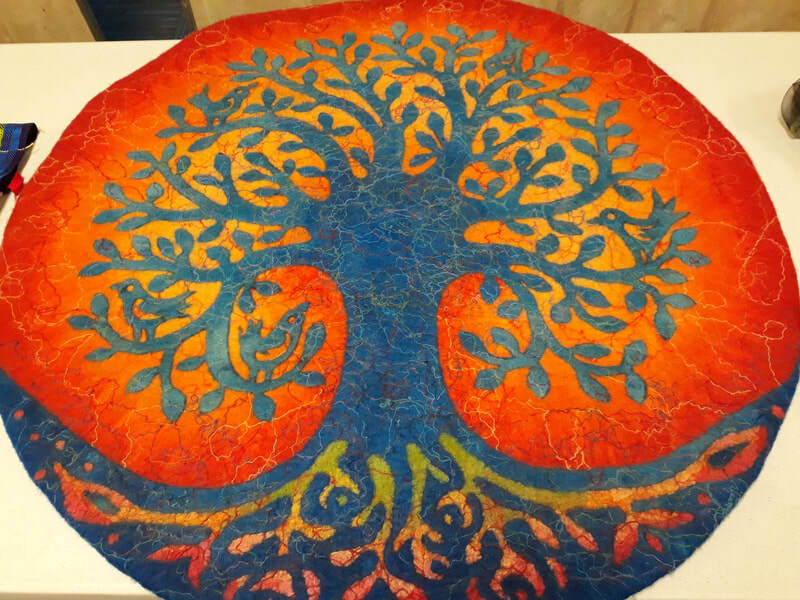 I recently discovered that Robyn on her Heddlecraft website has created a link for all Upcoming Conferences for 2019, and what is known so far for 2020! An additional link for On-line Learning Resources is full of access to tutorials, classes, Weave-a-longs, and you guessed it, MORE! One of the ongoing problems inherent in discussions about climate change is the vast scale of the conversation. The goal of the Tempestry Project, is to transform climate data into something that is accurate, tangible, relatable, and beautiful, by providing data, yarns and instruction for creating a temperature record of a place and year. The Tempestry Project blends fiber art with temperature data to create a bridge between global climate and our own personal experiences through knitted or crocheted temperature tapestries, or “Tempestries.” Each Tempestry represents the daily high temperature for a given year and location. A collection of Tempestries showing different years for a single location creates a powerful visual representation of changing temperatures over time. This project was inspired by The Tempestry Project in Anacortes, WA. It was designed for knitting or crocheting to make a visual record of temperatures. It provides a color graph of daily temperature changes over the period of one year. Picking more than one year, several years apart, would show changes in climate. Being a weaver and not a knitter, I have modified the plan in a few ways to utilize my loom and tapestry yarns to their best advantage. Daily temperatures would create a weaving too long for my loom or such a mash up of colors that they would not accurately show changes from month to month. The “project” also showed temps. From Dec through Jan, so I flipped it around to follow the calendar more closely and went from Jan to Dec, top to bottom. 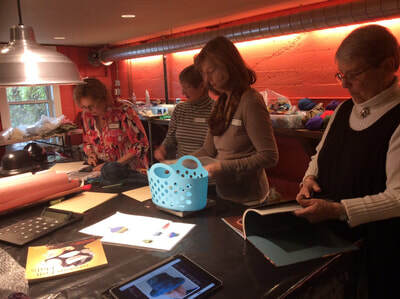 ​The Norwegian Textile Letter (NTL) is a quarterly publication for fans of Norwegian (and other Scandinavian) fiber activities, published since 1994. 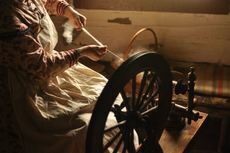 Scholarly or informational articles aim to raise the level of knowledge about historical and contemporary weaving and other textile techniques in Scandinavian countries, and highlight related activities in the United States. The WWG website will be adding a page especially featuring service and community projects for your reference. 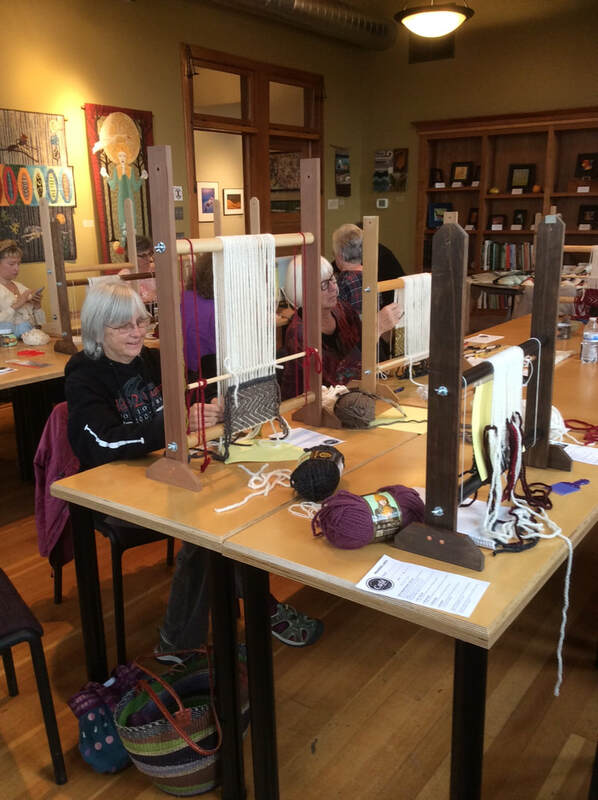 Please bring fiber-related service projects to the attention of the guild by making an announcement in a meeting, and sending a note to the WWG board through the website contact page http://www.whatcomweaversguild.org/contact.html. 10 Shaft, 60” Fireside Loom – handcrafted of beautiful cherry wood, lovingly exercised since 1990, a joy to weave on, lovely to look at and feel. Hello Weavers! I am looking for a 24" Rigid Heddle loom to buy. Dana Zia, barefootzia@gmail.com.